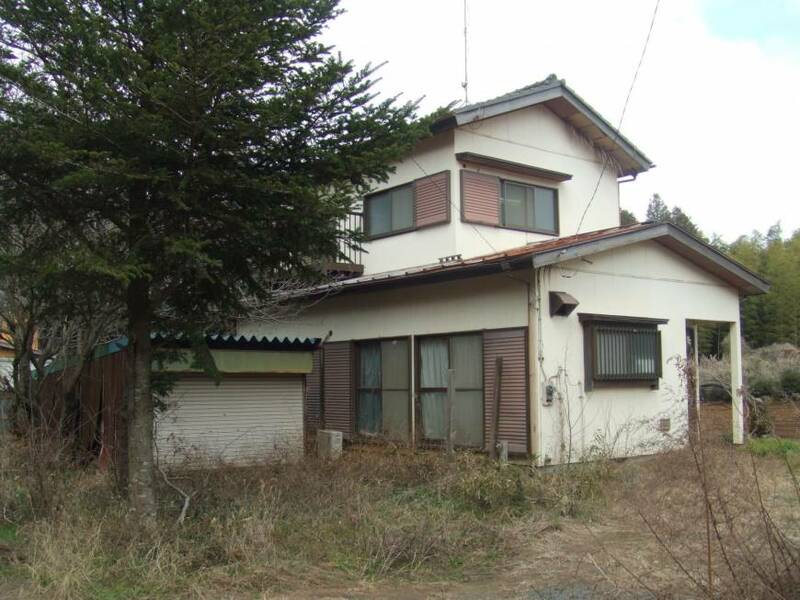 Japan’s vacant house problem will become worse before it becomes better. According to government estimates there are 8 million residences in Japan with no one living in them, a number that Bloomberg reports will increase to 20 million by 2033, representing a third of all the homes in Japan. A good portion of these residences are abandoned. There are no plans for anyone to live in them ever again, a prospect that alarms the central government, as it should. Abandoned homes are firetraps. Often they are filled with garbage that breeds vermin and surrounded by overgrown vegetation. Unmaintained sewage systems and septic tanks can spread disease. They are eyesores that diminish surrounding property values. For that reason, the central government implemented a law last year that allows for the designation of certain properties as abandoned houses (akiya) and outlines steps for them to be destroyed. The law gives local governments the authority to make the designations, after which a notice is sent to the owner of the property demanding that he or she remedy the situation and stating that if nothing is done within a certain period of time, the special property tax cut for residences will be rescinded. Normally, land for residential use that contains a structure is taxed at only one-sixth the normal rate, and the structures themselves at one-third the normal rate. So if owners ignore the akiya notice, they will be charged the full 100 percent rate on all property taxes, national and local. Then, if the owner still does nothing, after a certain period of time the local government will have the authority to tear down the house and send the bill to the owner. Though this sounds simple enough, it is difficult to carry out. In many cases it is almost impossible to determine title to some properties owing to the fact that the person whose name is on the deed has died. In such a situation, the heirs to the property will have to be tracked down and if there is more than one, each person must be contacted and notified of the akiya designation before any action can proceed. This, in itself, can be an expensive undertaking and many local governments don’t want to do it. To make things easier, some local governments provide subsidies in order to encourage property owners to tear down abandoned buildings. For instance, Kasama in Ibaraki Prefecture will cover one-third of demolition expenses up to ¥300,000. Toyohashi in Aichi Prefecture will pay up to two-thirds the cost of demolition when the expense is over ¥200,000, but only for wooden houses. In Minami Aizu, Fukushima Prefecture, you can receive a demolition subsidy of up to ¥800,000 if you do not pay any local taxes due to low income, or up to ¥500,000 if you are eligible for local taxes. Tokyo, as well as most other major cities, offers no demolition subsidy. The process of tearing down a house is called kaitai, and some companies specialize in such a service. There are various portal sites on the internet that list these companies on a regional basis, with examples of jobs that give property owners an idea of what the cost may be. On one site we found an outline of a job for a house in Mitaka, Tokyo. The floor area of the house was 33 tsubo (about 100 sq. meters), and the cost of dismantling was set at ¥25,000 per tsubo. In addition, the property had a 33-meter-long cinder block wall that cost ¥2,500 per meter to take down, and a shed that cost ¥15,000 to remove. 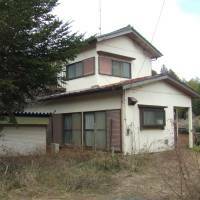 The disposal of various appliances on the property cost ¥30,000. Additional costs covered the use of special machinery (¥100,000) as well as scaffolding and other equipment to keep the demolition work contained (¥81,600). After a discount was applied, the total cost of the job came to ¥1,260,000. Additional costs include removal of septic tanks and underground pipes, as well as refuse disposal. After the house is torn down, the kaitai company must get rid of everything. Such companies must be issued certificates to recycle construction materials, and they will definitely pass on the cost to the customer and maybe add a surcharge. If you’re looking to knock down a building, as with any large job, it’s best to shop around in order to find the best price. In order to do that, however, a representative of the company has to visit the structure to be torn down. The owner should be there during the inspection in order to pin the contractor down on an estimate and make sure they explain every detail of the job. At the same time, the owner should talk to their neighbors so that they understand that this kind of work, which can be noisy, is going to take place. After the contractor is chosen, the local government must be informed of the work at least one week before it commences if the size of the structure being demolished is more than 80 sq. meters. The contractor will normally handle the paperwork, including permits for recycling refuse and using public roads in case the property doesn’t have enough space to park vehicles and equipment. In addition, electrical and gas utilities should be informed, and if there is a septic tank that is going to remain it should be cleaned before work begins. Waterworks should remain turned on since demolition requires water to keep down dust. First, the contractor will erect scaffolding and hang tarp so that dust and debris don’t escape. Then workers rip out walls and floors, and after that the frame is dismantled. All refuse is sorted by hand. Some local governments also mandate that the soil be checked for contaminants and cleaned if any are found. After all the refuse is carted away, the contractor will level the ground. When demolition and removal is complete, the owner must report the work to the local branch office of the Ministry of Justice so that the structure can be removed from maps and other registries. If this isn’t done within a month after the work is finished, the owner will be fined. Notaries can do this work as proxies for a fee.